Last week and the week before, EPO, DOPING and the UTMB was the hot topic after Gonzalo Callisto’s positive test. Everyone was talking about it… this week it’s all gone quiet. That can’t happen! You can catch up on my posts below. 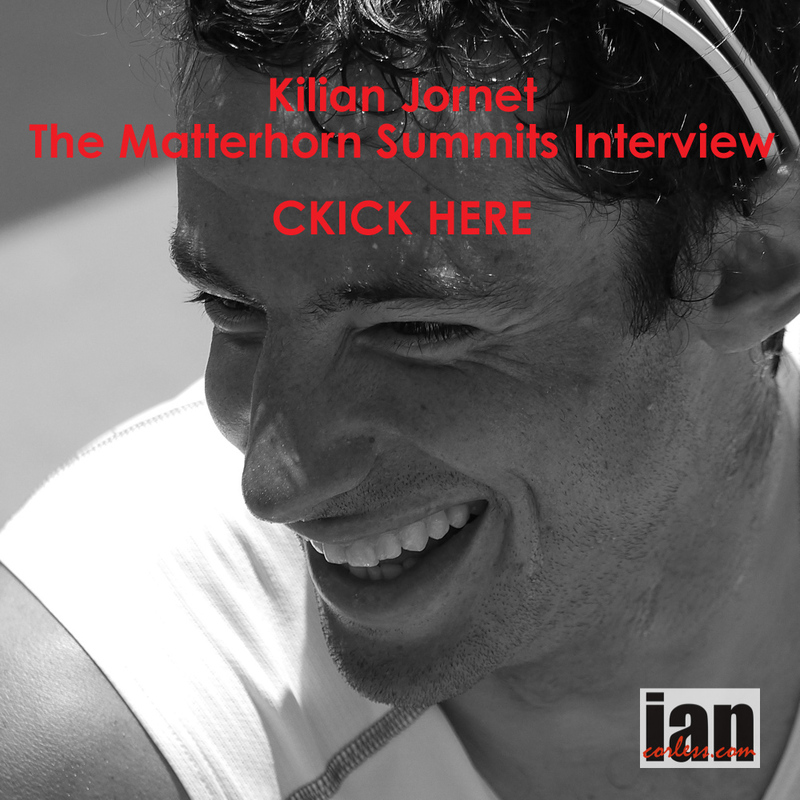 There are far too many questions unanswered, there are far too many people being quiet and if we want to eradicate doping from Mountain, Ultra and Trail running – we need to keep talking and discussing. 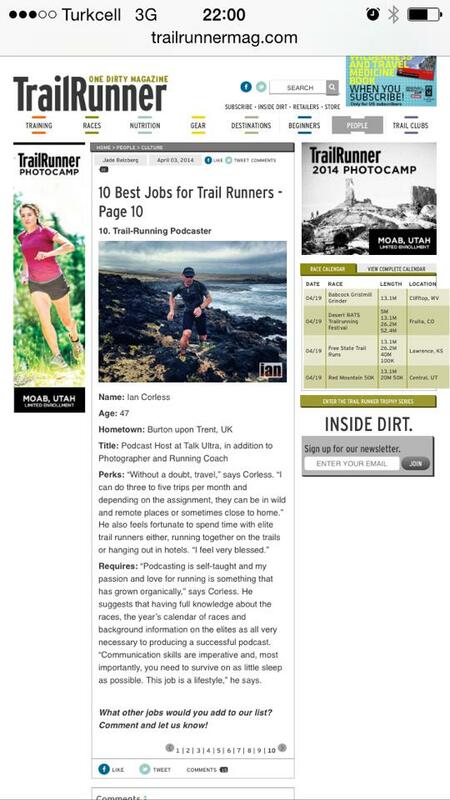 I was approached by Outside Magazine and they asked me a few questions. I am pretty sure that what gets used or published will be an edited version and with that in mind here are my thoughts, un-edited. 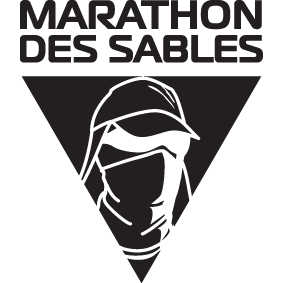 In light of the latest news from UTMB, what you think this positive test means for the sport? One has to embrace the positive test as a good thing as it confirms that preventative measures against doping are working. This positive was an ‘in competition’ test which only confirms the need for out of competition testing and blood passports. Of course, the answer is always that testing is too expensive. We have to act now and be proactive. I don’t have the answers but I do feel that we could start to address certain issues that would help. Maybe it’s time that we ask (for example) the top 100 male and top 50 female runners as listed on ITRA to pay for a regular medical? Sage Canaday recently released a full report on his medical status to ‘prove’ he is clean; that’s a good thing! (See below). Athletes of course may well say that they can’t afford it but this is where sponsors come in maybe? We cannot keep making excuses as to why we can’t but find ways to make sure we can! We are at the very early stages of doping in our sport and if we don’t act now it will only become worse and God forbid, we could end up like cycling or athletics. Do you think doping is really becoming something to worry about, or is this a case of an outlier? We need to worry, yes! This is not the first positive test, it maybe a high profile conviction, but it would be foolish to think that this is an isolated incident. Are people starting to talk about doping more in ultarunning than before? Or maybe a better way of asking this is how are the athletes you know, talking about this subject and what it means for the sport? I certainly have witnessed more discussion about doping and of course this was highlighted at the end of 2015 at San Francisco 50. This was a moment when the sport really looked at itself and many questions were asked. It actually became quite nasty at times and I think a sense of perspective was lost. 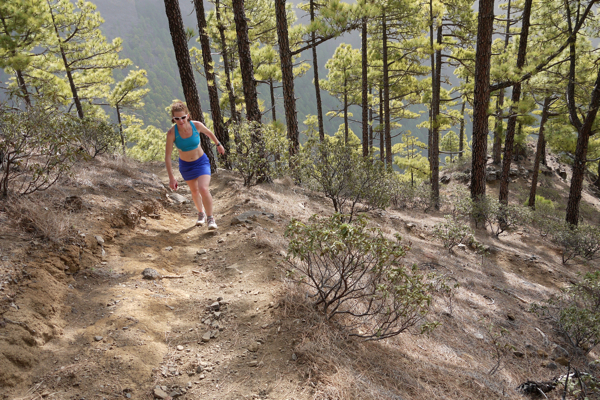 For example, WMRA (World Mountain Running Association) and Skyrunning have been testing athletes for many years. They have very much paved the way but they acknowledge they can only do so much. In competition testing costs 1000’s of euros or dollars for one event and of course, only urine can be tested. Many say it takes an idiot to to be caught ‘in competition’ but it happens. I go back to blood passports – we really need them for elite, professional and sponsored runners. Some races do not have a ‘PED’ policy and San Francisco highlighted the need for races and RD’s to address this in the rules of the race. Western States for example has re-written its race rules to say that any runner who has had a positive conviction cannot race. Many runners have asked for a lifetime ban for any positive test and they have been vocal about this. I personally am reluctant to go down this route… I do believe that mistakes can happen in drug testing but I am not an expert. This creates a whole new debate and raises questions about the lasting effects of a doping program. For example, we used to have two positive tests and out, I liked that but apparently that has been deemed unfair? Are people starting to test more for doping than in previous years? What has this looked like? 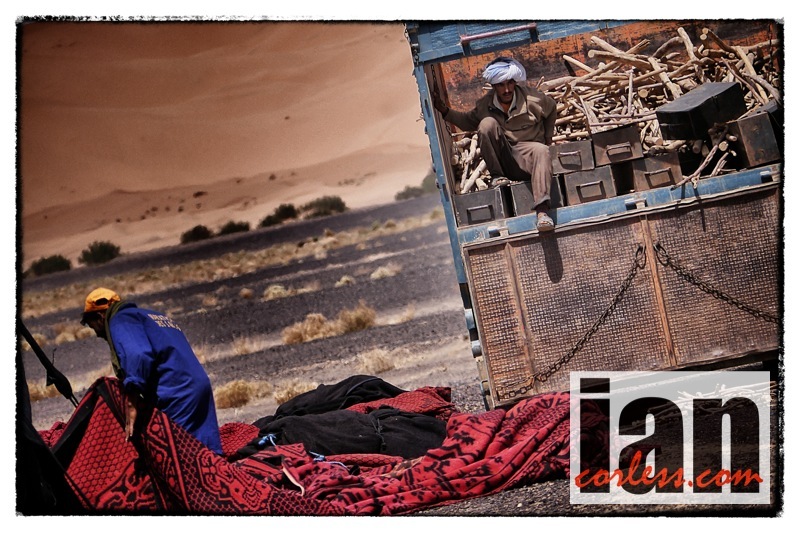 As mentioned previously, WMRA and Skyrunning have been testing for many years but not at all events. 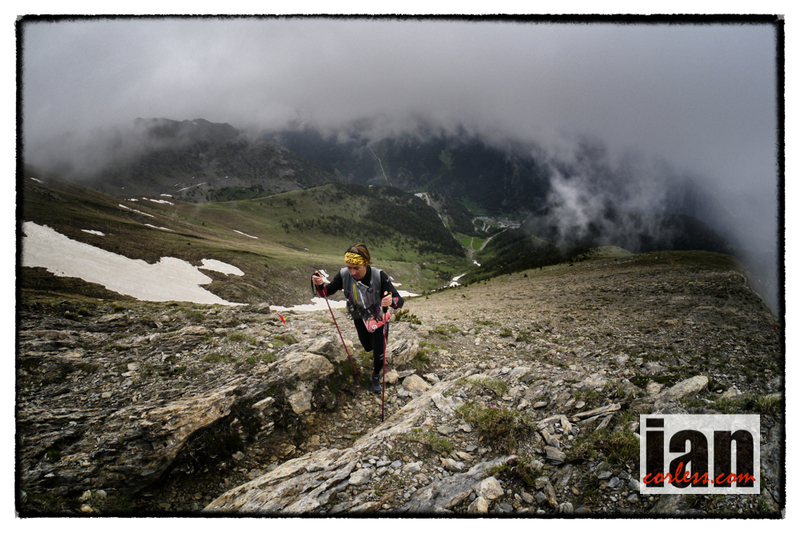 Skyrunning for example had its World Championships in Spain in July, they had three events, VK, SKY and ULTRA and WADA performed tests at all three race distances. The problem comes, once again with cost. 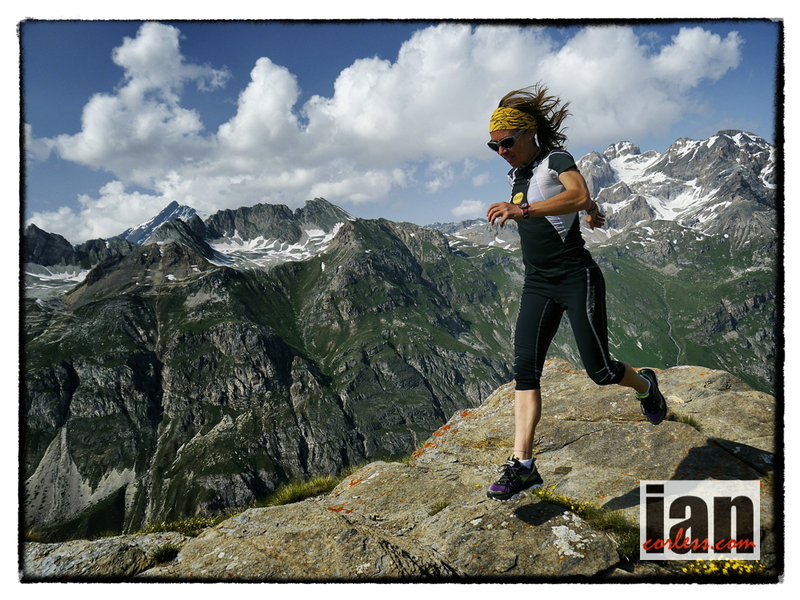 At the Skyrunning World Championships, 12 athletes were tested. The make and female winner in each category (making 6) and then 6random tests. Let’s assume testing at an event is $10,000 – who pays? Do we add a surcharge on every runners entry fee? Does that race find a sponsor to cover the cost? Do we rely on a wealthy donor or do we approach all the major brands in the sport and say, you must pay! It’s a complex matter and this is why doping control is a rarity in contrast to the norm. Let’s look at races such as Speedgoat 50k, Run Rabbit Run and San Francisco 50 – these races have some substantial prize money, in some scenarios it could mean a pay check of $10,000+ for a win. Yet nobody has any idea if the winner is clean? 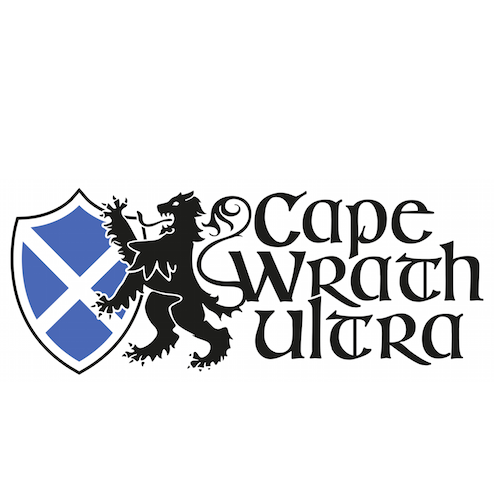 Moving away from trail running and looking at ultra road running, Comrades in South Africa has huge prize money and it has a very chequered past with doping: Max King, Ellie Greenwood, Sage Canaday and Michael Wardian (amongst others) have all witnessed the impact of it first hand. What is your own experience with testing? I attend races as a photographer and a journalist so in reality, I have little experience of the drug testing process. 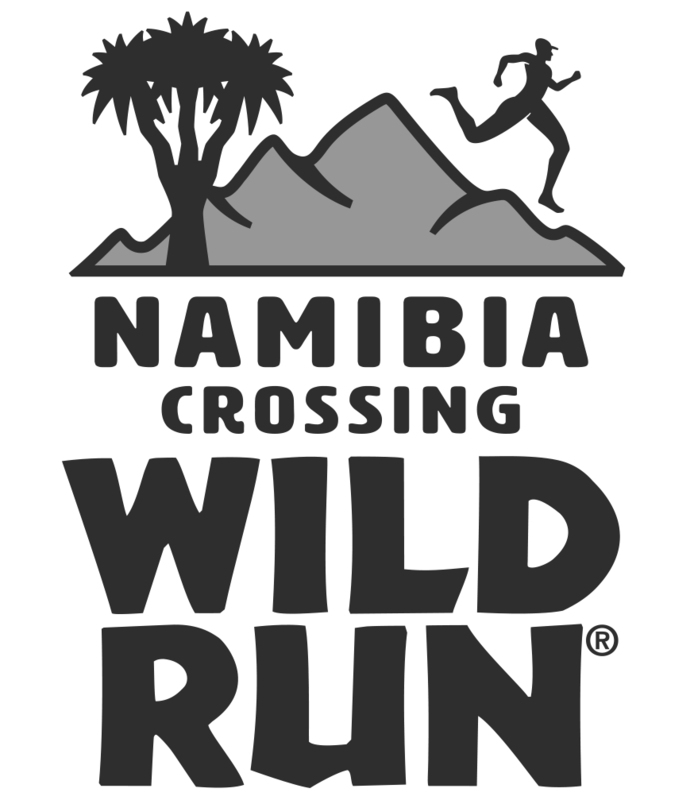 However, I am a media partner for Skyrunning and I have been present and seen the processes undertaken at several major events where doping control has been in place by WADA. 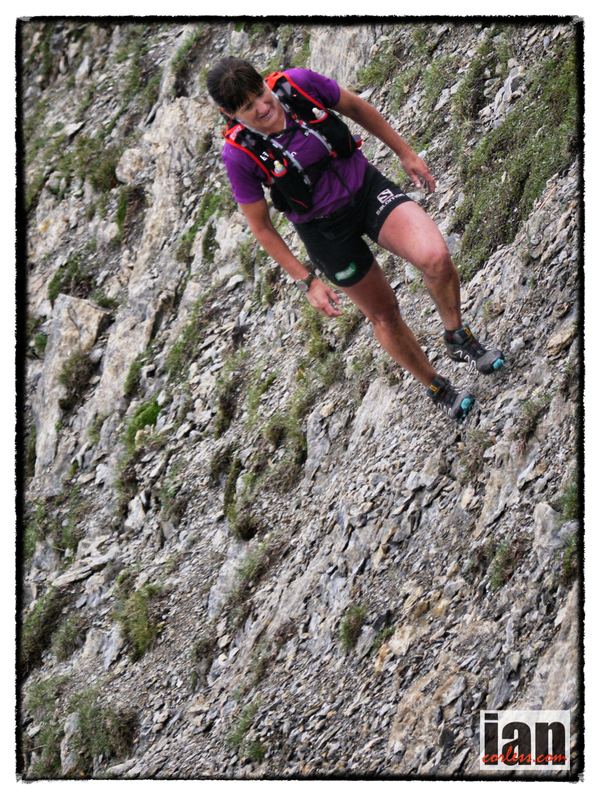 For example, I was at the Skyrunning World Champions on July, 22, 23rd and 24th. I also experienced doping control at Limone Extreme in 2015 and Mont-Blanc 80k in 2014 amongst others. Do you think the tests, or the conversation about doping in general in ultras is lacking? What could be done better? Gonzalo Calisto was tested after placing 5th at UTMB by French drug control – AFLD In August 2015. AFLD have a written policy that a positive test is given to (in this case) the runner within three weeks. The runner is then entitled to appeal and ask for a B sample test. This process can then go backwards and forwards for several weeks and in this scenario (as I understand it) months. Don’t get me wrong, the runner has rights and it’s only fair that he or she has every opportunity to clear his or her name. In June 2016 the IAAF released its current banned list. On July 18/19th British Ultrarunner Robbie Britton noticed that Gonzalo Calisto was convicted of EPO and banned till March 2017. I picked up the case and contacted UTWT and UTMB directly and asked were they aware of this conviction? I later found out, no! 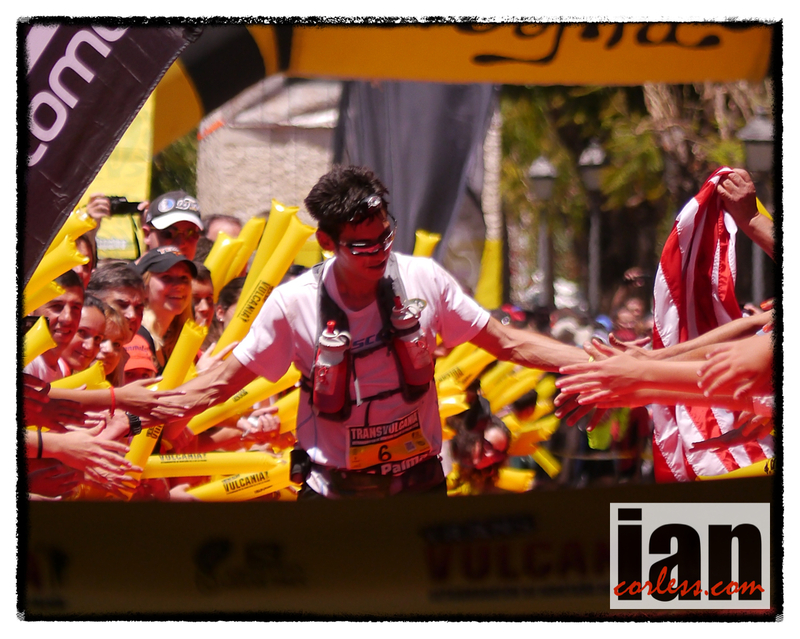 Within 12 hours, UTMB released a press release disqualifying Gonzalo Calisto of doping. 1. 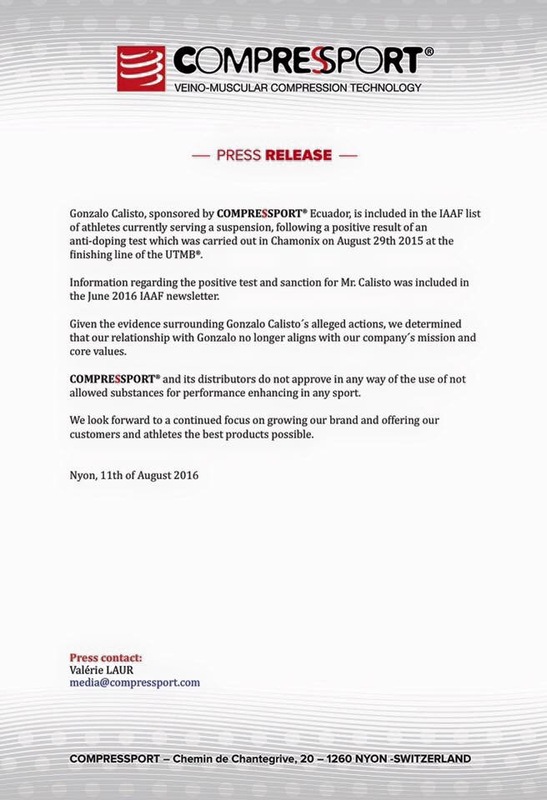 How was it possible that Gonzalo Calisto had tested positive but UTMB did not know? 2. Why was his period of exclusion dated till March 2017 when he had been tested in August 2015? 3. Why had the IAAF only published this in June 2016? 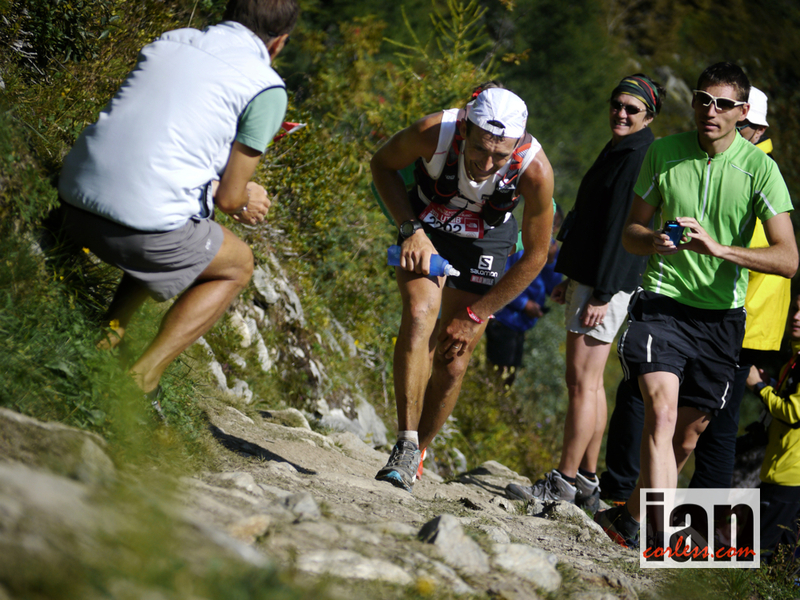 I asked questions of the UTMB and the IAAF. In both scenarios they were both helpful. 1. To cut a long story short it would appear that when an athlete is tested positive, the testing control, in this scenario AFLD, are not required to inform the race. REALLY? A race has a runner place 5th, the runner is tested, the runner is found guilty, due process is run and then a positive is confirmed and a sanction is put in place without the race being told…. C’mon that HAS to change! Had it not been for the eagle eyes of Robbie Britton and me grabbing the bull by the horns, nobody ‘may’ have known? 2. IAAF explained the ‘due process’ to me and although they were not able to supply specifics, they did say that these things can often take much longer than we would all like and that 6 months is not unusual. Considering Calisto was tested on the last day of August, that potentially could take us to February or March the following year. 3. The IAAF then confirmed that an error had been made! As I pointed out to them, why was Calisto banned till March 2017? The answer: Calisto’s ban and records were amended from a memo dated March 2016 and it was therefore human error. Calisto’s ban dates actually run from March 2016 to March 2018. This coincided with point 2 above and a lengthy due process where one assumes Calisto tried to clear his name. 4. From the March conviction, Calisto’s records then entered the IAAF system and his conviction was uploaded to the ‘sanctioned athletes’ list in June 2016. 5. The IAAF confirmed to me that AFLD did not have to notify UTMB of a conviction but they would look into it? So, for UTMB to be aware that an athlete had cheated at a previous edition of their race it would appear that the only option open to them is to check daily on the IAAF website for any additions to the sanctioned athlete list. Why do you think the sport has stayed clean for so long, and what might be changing that would compel people to cheat? The sport hasn’t been clean for so long. That is a naive viewpoint. Doping has existed in trail running for ages but if you don’t have testing or a blood passport, how would you know that…? I like to use an example and I must be clear here, I don’t doubt the integrity of the runner I use as an example. 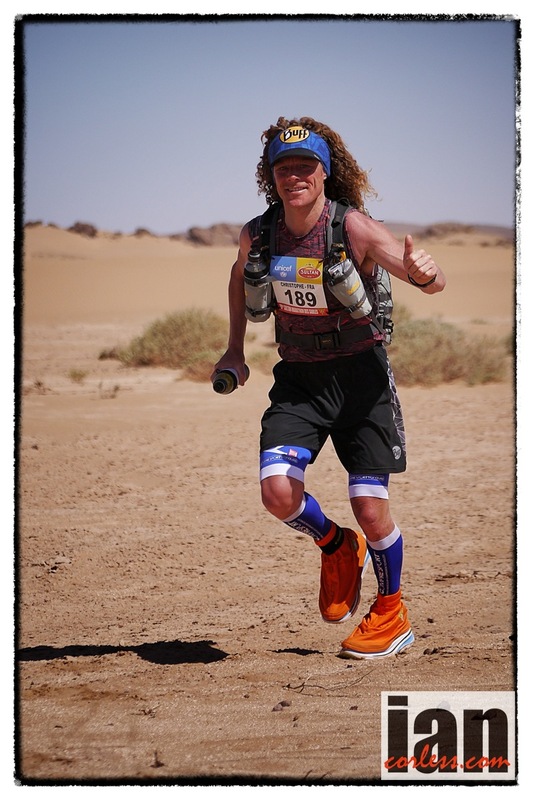 Karl Meltzer, my co-host for Talk Ultra podcast has won more 100 mile races than anyone. He has even won Run Rabbit Run and he took home $10,000+ He has been running ULTRA’s for 20+ years. You know how many times he has been tested for PED use? NEVER. Need I say more… This is why our sport has bean ‘clean’ for so long, no testing! For the most part it seems like the conversation around doping in ultras is relatively new, and also that cheating might be a new thing too. Do you think there’s a chance for race directors, athletes, etc. to get out in front of this and keep the sport clean before it becomes the kind of large-scale issue it is in some other sports? The Calisto case has raised eyebrows, we need to latch on to that momentum and we need to consider many of my points above but let’s be clear, Calisto is not the first! Positive results MUST be sent to a race or RD as soon as possible if a positive test came from a race. IAAF need to find a way to communicate ‘new’ sanctioned athletes to the relevant sport discipline. This is where ITRA or maybe an athlete commission could be set up. We, as runners, journalists, sponsors and so on must be loud and clear that doping is not welcome and we must do all we can to work together. In the Calisto case I have still not seen or heard any public statement from his sponsors, Movistar and Compressport. 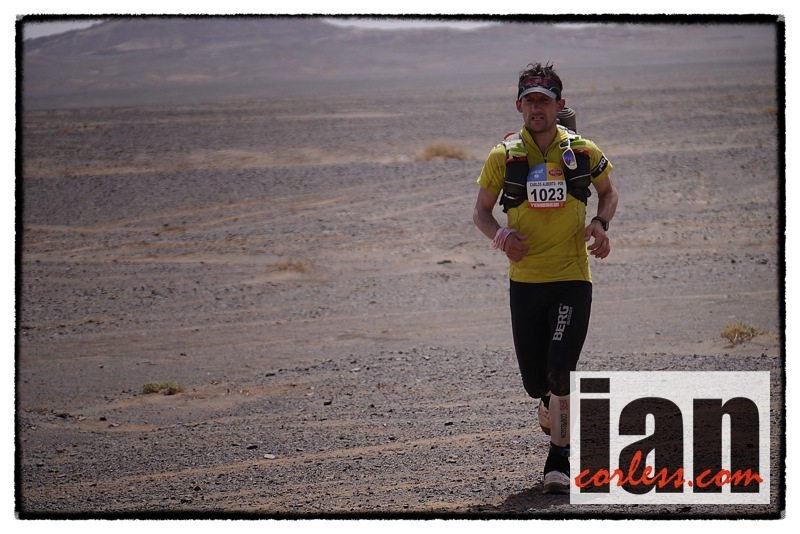 Compressport did contact me to say that they were ‘looking into it!’ What does that mean…? They also said that Callisto’s sponsorship with Compressport was with a local distributor and not the International division. As far as I am concerned, local or International, Calisto is still representing a brand and that brand gains attention. And also what about the races that Calisto has run and placed in in post August 2015? The IAAF now confirms the suspension dates back to that time and until March 2018. Not one word, not one public statement from any race that I have seen… do these races condone doping? What about the runners who placed top 5 or top 10 only to loose a place… come on, speak up! A great place to start is here, Sage Canaday has just recently posted his results online for all to see. Let’s lead by example! 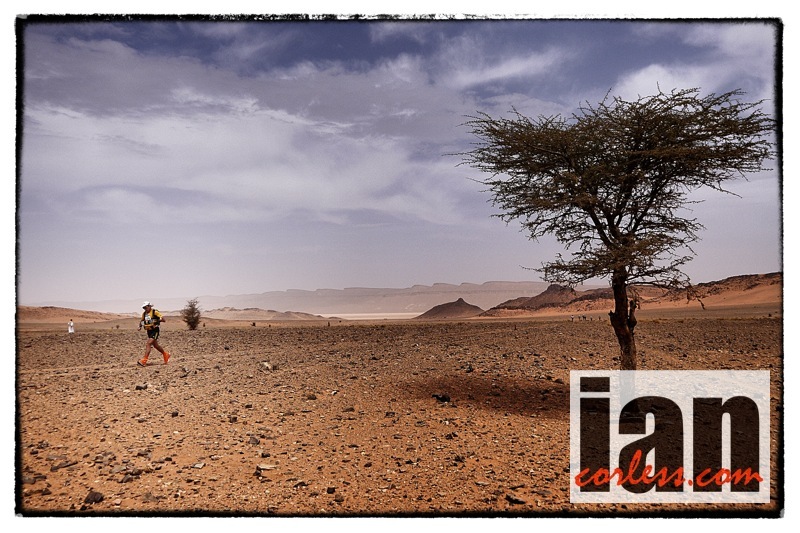 Just two weeks after Transgrancanaria, the UTWT show continues. The stellar line up in Gran Canaria is not reflected in New Zealand as only certain races in the UTWT circuit have the relevant point coefficient that will make an outright win a possibility, so, expect to see Sandes, Olson, Chaigneau, Picas, Maciel, Canepa and other ‘top’ contenders toe the line at UTMF in Japan. However, Tarawera 100k does (or should I say did) have a battle royal to look forward too… Sage Canaday (last years winner) going head-to-head with Rob Krar was going to be quite a prospect. However, just a couple of days ago, Krar took a tumble and is out. This leaves ‘the showdown’ to reappear somewhere else in the calendar at another time of the year. For the ladies, Ruby Muir was looking to defend her title after illuminating the trails in 2013 with a stunning win and top overall placing, however, Muir has too fallen foul of the injury demons. 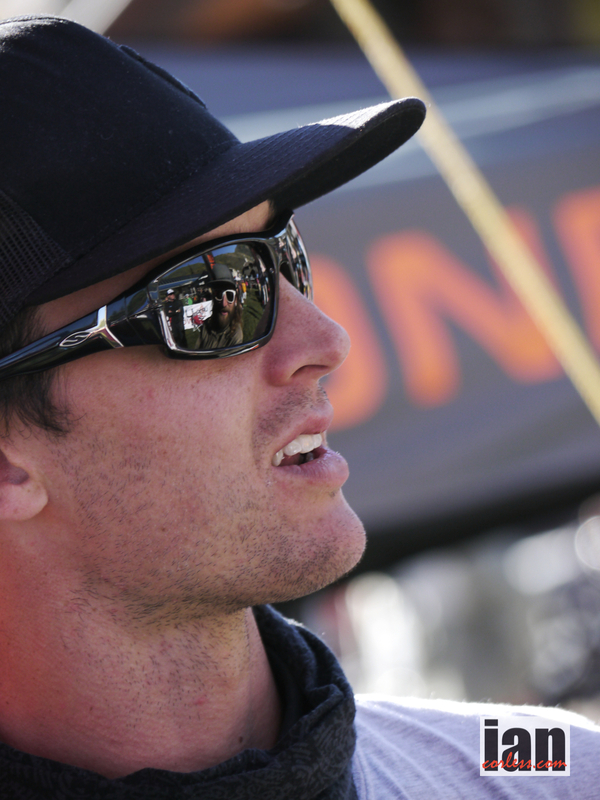 Sage Canaday returns as defending champion and after a disappointing end to 2013 will without doubt be firing on all cylinders for a race win. Sage had a great first half of ‘13’ with wins and CR’s a plenty. 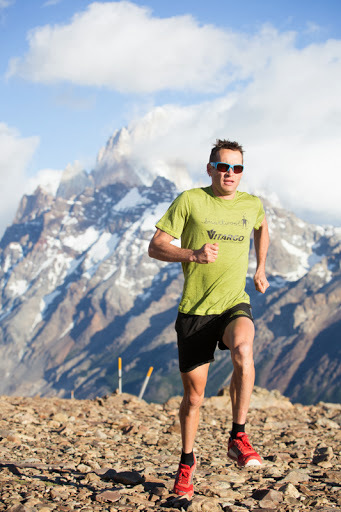 However, maybe racing too much and some bad timed illness found him falter a little at Sierre-Zinal, UROC and he didn’t make the start at San Francisco 50. When on form, Canaday is unstoppable and without doubt he is ‘favourite’ for the 2014 race. Michael Wardian never stops and has already raced extensively in 2014 and won. He produced a stunning and impressive performance against top competition at The Coastal Challenge in Costa Rica, and his recent 2nd at the 50k champs shows he has all it takes to push Canaday on the NZ trails. 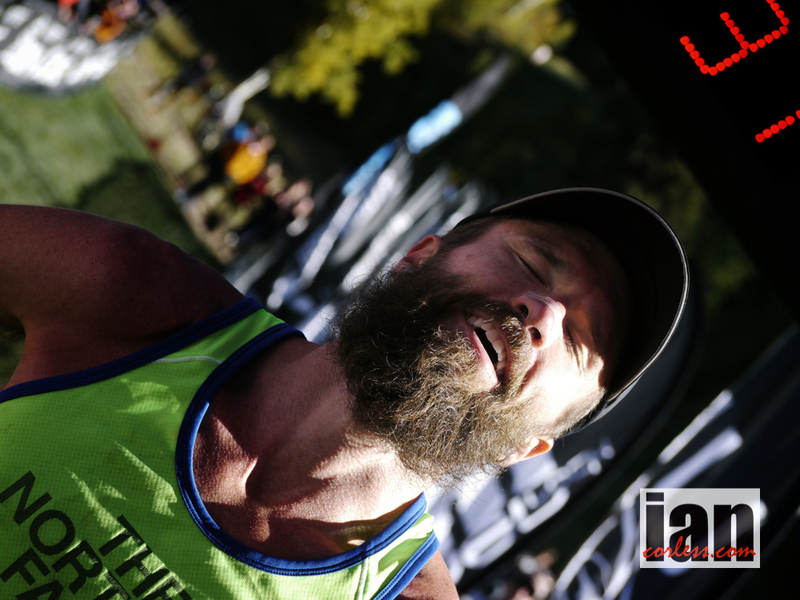 Two-time Olympian and sub 2:15 marathon runner, Mike Aish may well mess things up for Wardian and Canaday. Racing on home soil, Aish must be fired up for the opportunity to compete against such quality competition. 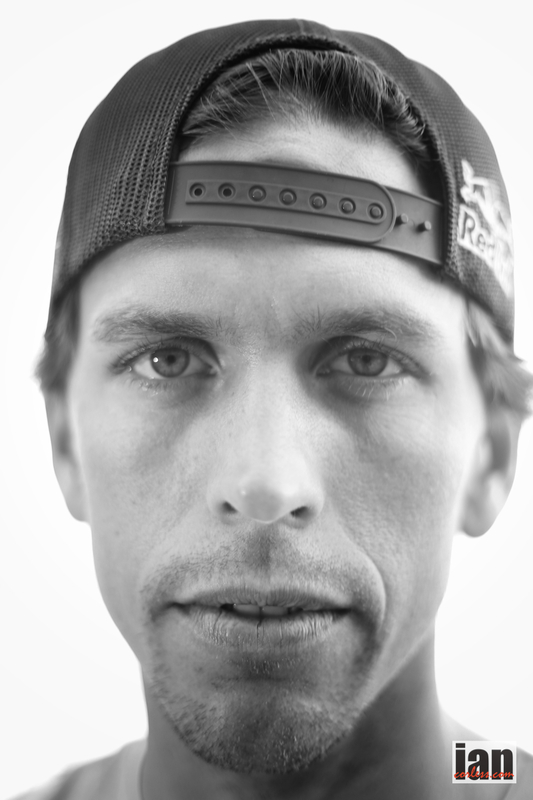 Known to go out hard, Aish has faltered in the past; his impressive blow-up at Leadville a great example. 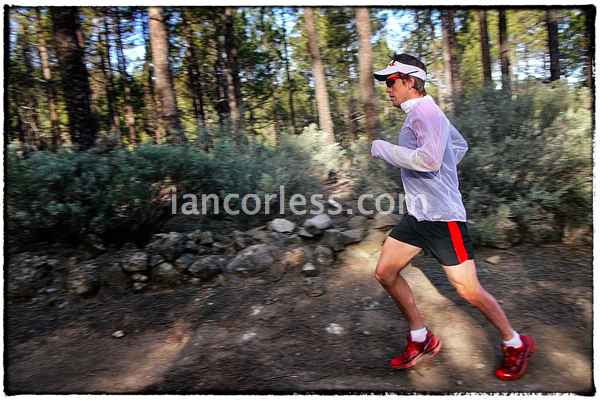 However, in 2013 he put the Leadville demons to bed with a podium place and 18:27 finish. Local talent is in abundance with Brendan Davies, Scott Hawker and Vajin Armstrong. All three have had great results recently, Armstrong raced and placed well at Tarawera in 2013, Hawker raced well at HK100 and Davies recently had top-3 at MSIG50 in Honk Kong. You can expect all of them to push the front of the field and it’s only going to take an error by Wardian or Canaday and a ‘good’ day by one of the other 3 to make the Tarawera podium look very interesting. Yun Yanqiao was 5th at HK100 in 2012 and the only other result I have for him is 30th at San Fran 50km in 2009. Rumors say that Yanqiao has good form so he may well be a top-10 surprise. 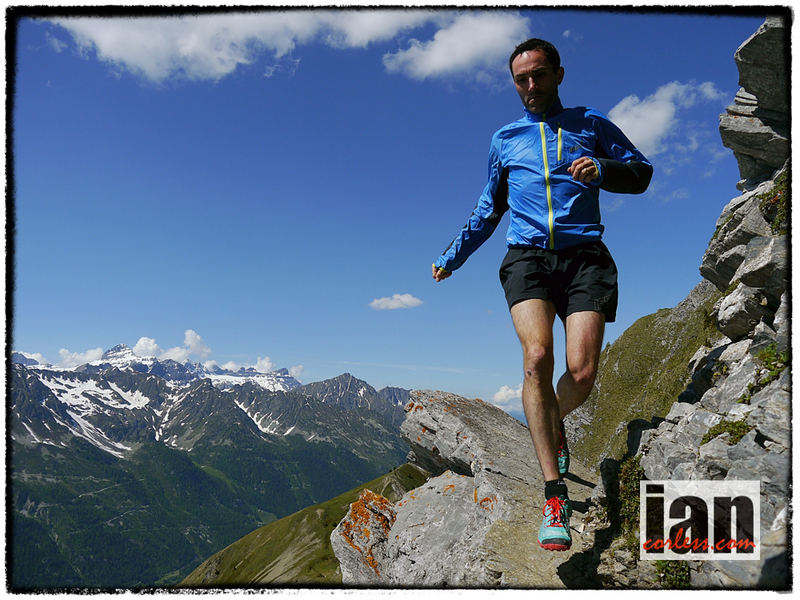 Martin Gaffuri from France placed 4th overall in the Skyrunning World Series in 2013 and his form is on the rise. 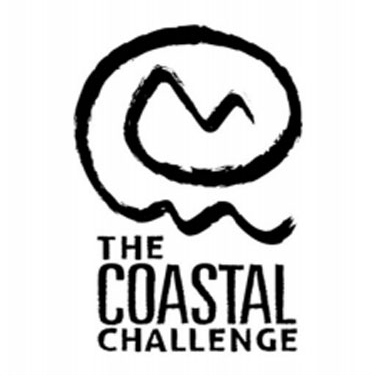 In December he placed well at San Fran 50 and his recent run at The Coastal Challenge will put him in a great place for the 100km. Gaffuri will be up there, top-10 would be a great result. With Ruby Muir out all eyes will fall on Meghan Arbogast. 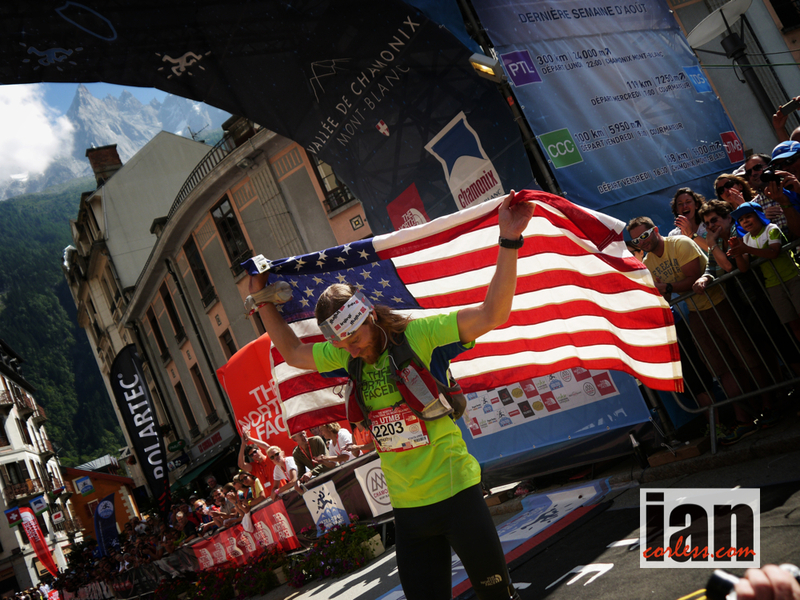 She had 8-results on Ultra Signup for 2013 with 4th at Western States and 13th at TNFUTMB as highlights. Arbogast also won Ice Age Trail 50km and Way to Cool 50km, however, her recent win (Jan 11th) at Bandera 100km in 10:12:57 surely means that Tarawera will play in the hands of Arbogast. Beth Cardelli had a great time in Europe in 2013 and without doubt this will have added an extra skill level to Cardelli’s armory. A win at TNF100km, 2nd at Tarawera Ultra and 4th at Lavaredo Ultra Trail certainly will mean that Arbogast won’t have her own way! Shona Stephenson, like Cardelli, spent time in Europe with mixed results. However, when everything clicks into place, Stephenson can push the best in the world. 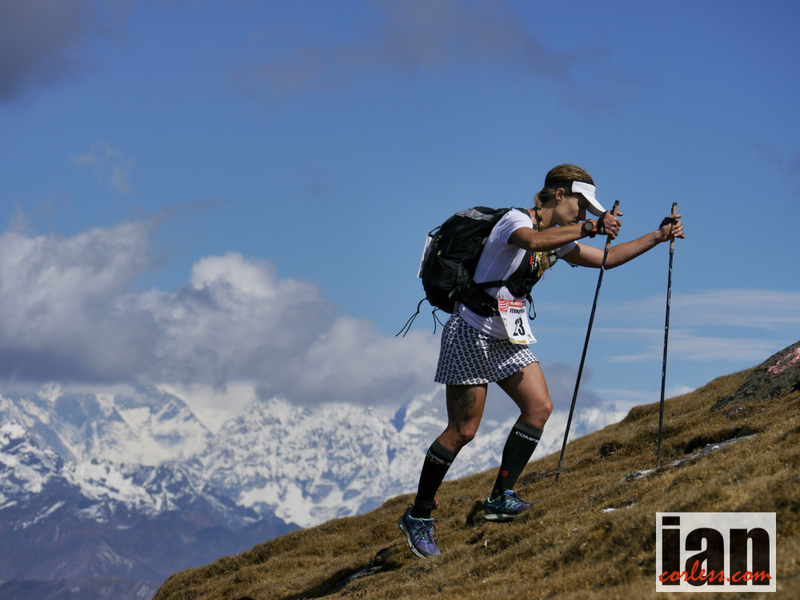 Stephenson’s result at UTMF a shining example in 2013. Tomoko Hara won River Shimanto 100km and Yatsugatakae Nobeyama 100km in 2013 and also placed 2nd at Sarom-See 100km. 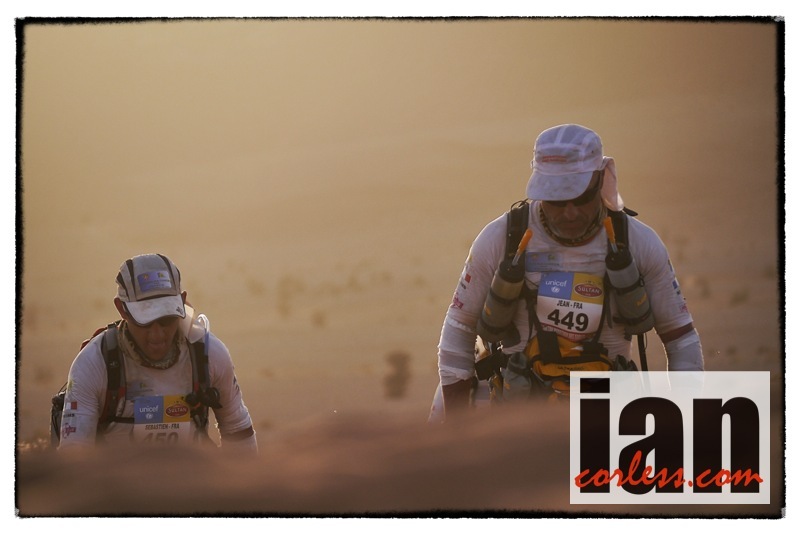 Without doubt, comfortable at the 100km distance, I personally think we will see a surprise from Hara and a podium place. Finally, Sandi Nypaver from Ohio will definitely make top-10 and has the potential for top-5. 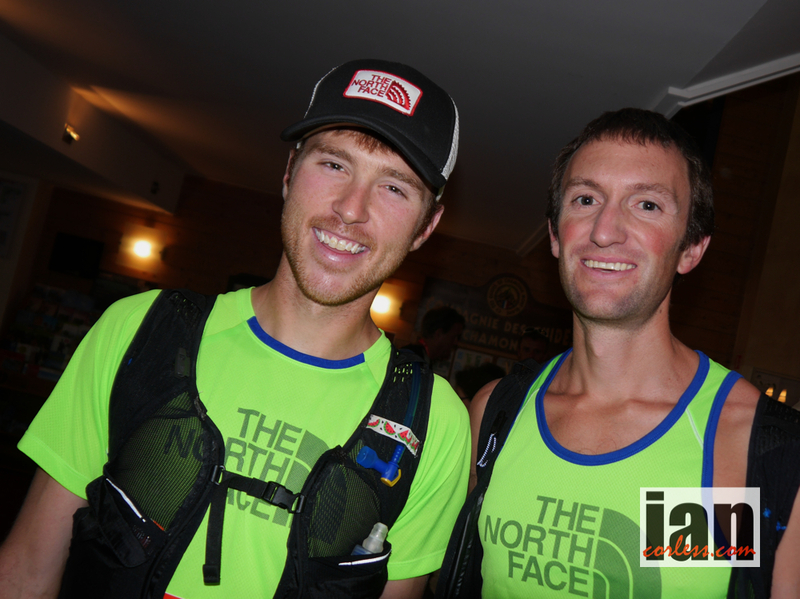 In 2013, Nypaver was 2nd at Cayuga Trails 50km and 11th at Speedgoat 50km. 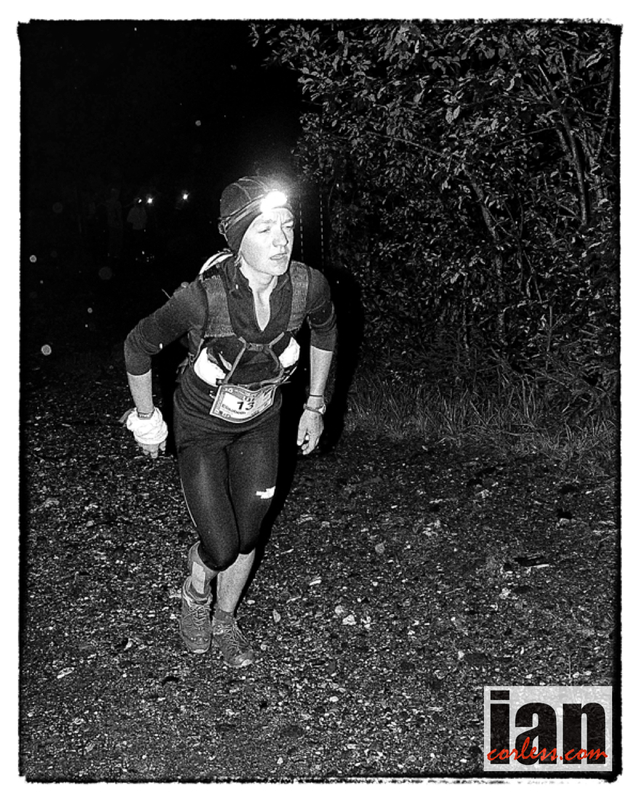 A winner at Grindstone 100-mile in 2010 confirms that she has not only the mental but physical requirements for a solid Tarawera. 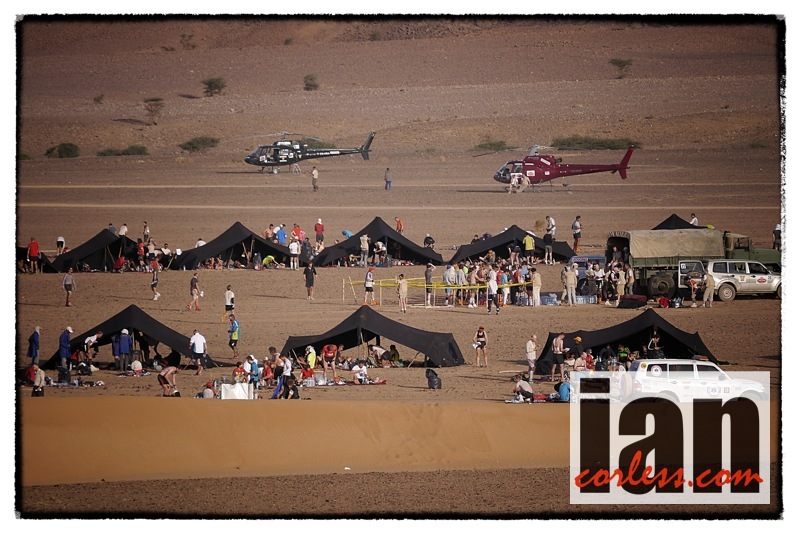 Tension builds ahead of the 2014 The North Face® Transgrancanaria with runners arriving from all over the world to take part in the second race of the UTWT (Ultra Trail World Tour). Important news from the last couple of days are key withdrawals from the ladies race; firstly Julia Bottger has decided that recent racing and training stress has left a niggling leg injury a disaster waiting to happen and so therefore has made the wise and cautious decision not to start. Nathalie Mauclair was without doubt a potential winner of this years race and unfortunately she too has withdrawn saying that she too has a niggling leg injury and that she doesn’t feel ready. In the men’s race, Miguel Heras once again has picked up an injury in the build up to the race and his problematic injury issues continue. 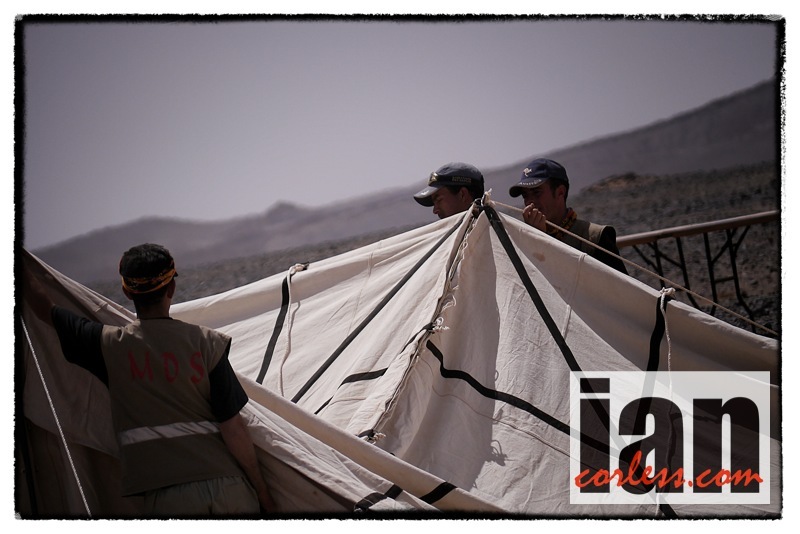 Will he be ready for Marathon des Sables? 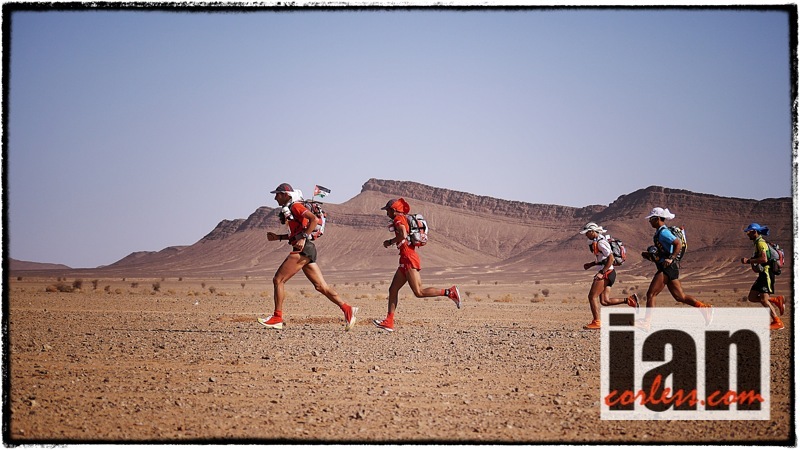 The 125km The North Face® Transgrancanaria starts at midnight on Friday and images and updates will be provided on this website, Talk Ultra Facebook and @talkultra on Twitter as and when possible. Thursday evening saw a presentation of some of the key athletes in this years race. The Hong Kong 100 course starts in Pak Tam Chung on the east side of Hong Kong’s New Territories and winds its way west along coastal paths, across beaches, through ancient villages, over hills and through valleys before finishing after the descent of Tai Mo Shan, Hong Kong’s highest peak (at 957m). 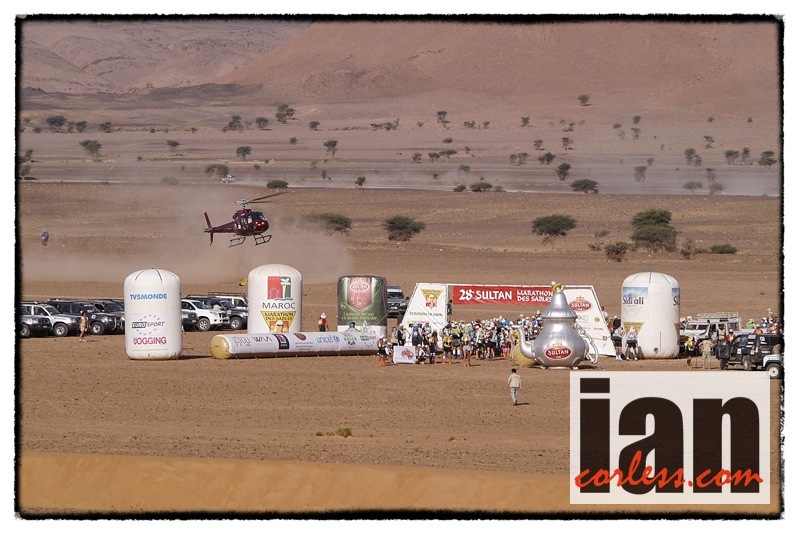 The 100km journey climbs over 4,500m and much of the climbing is in the second half of the course. The first race in the new UTWT (Ultra Trail World Tour) will have many eyes upon it as this new series starts. The announcement of the UTWT at the 2013 TNFUTMB gained very mixed responses from those who attended the press conference. 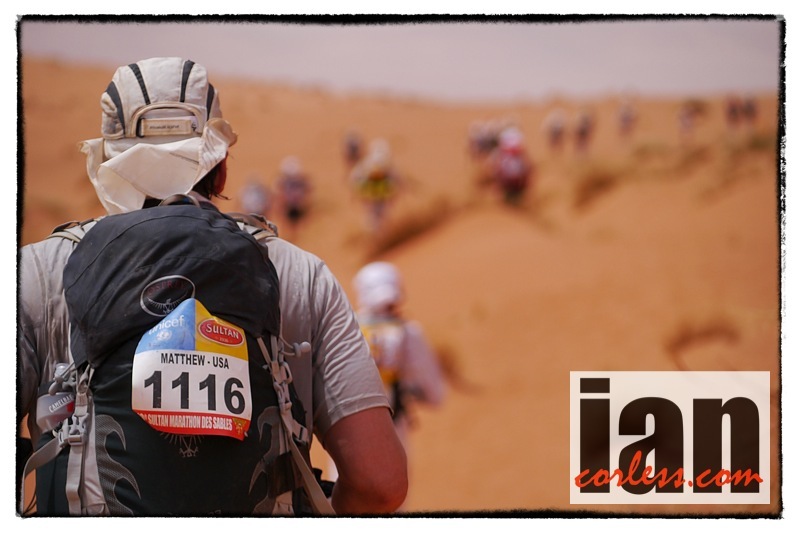 I for one questioned the inclusion of races like Marathon des Sables and Western States. However, although the initial press conference left many question marks, the UTWT have progressed and started to assemble not only a solid of list of races but also an ever expanding list of racers who will take part. 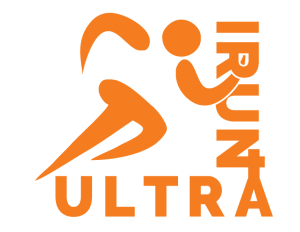 In real terms, runners who are looking to participate in the UTWT series of events are currently limited. If we look at HK100 this ultimately comes down to: Dave Mackey, Jez Bragg, Francesca Canepa, Lizzy Hawker and some members of the WAA Team. However, a series must start somewhere and the next race in New Zealand, Tarawera, will see a more international runners and ever expansive field. It will be interesting to see how UTWT progresses. 1608 runners are listed for the 2014 edition of the race with a very strong contingent from running8.com and Vibram. As you can image, going through the list, many names are unknown to me, so, if I have missed a ‘local’ runner to the Hong Kong race scene that may well show a presence at the front, please let me know and provide some additional stats. Below I have listed the ‘key’ runners in alphabetical order. 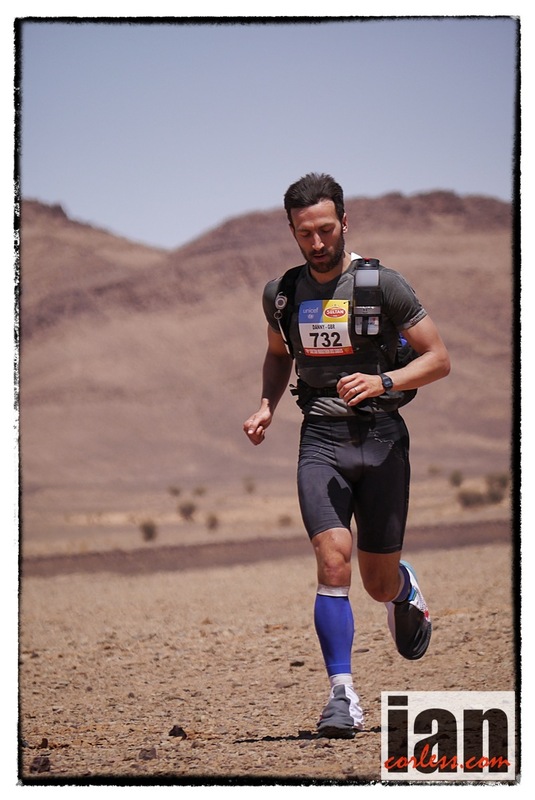 Fabrice Armand (Salomon) – Has raced well at the Dodo Trail 50k placing 2nd and 3rd in 2011 he placed 10th at Diagonale des Fous however recent results are a little sparse. Vajin Armstrong (Macpac) Had a great 2013 with 2nd 2013 Kepler Challenge, 2nd at Swiss Alpine Marathon 2013, 2nd at TNF 100 Australia, 3rd at Tarawera. 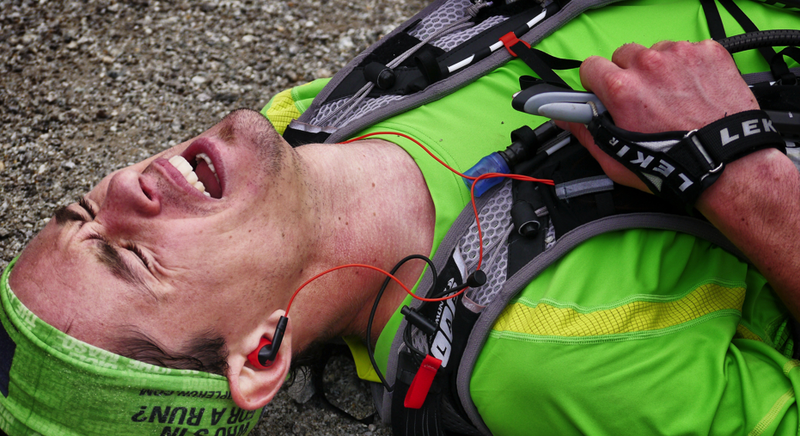 He did race at TNFUTMB but that didn’t quite go to plan. Without doubt HK100 will suit Vajin. Expect to see him up front. Pascal Blanc (Hoka) 3rd at Mafate Trail Tour, 3rd at Diagonale des Fous, 5th at Extreme Dodo Trail has all the required skills and ability to race well at HK100. 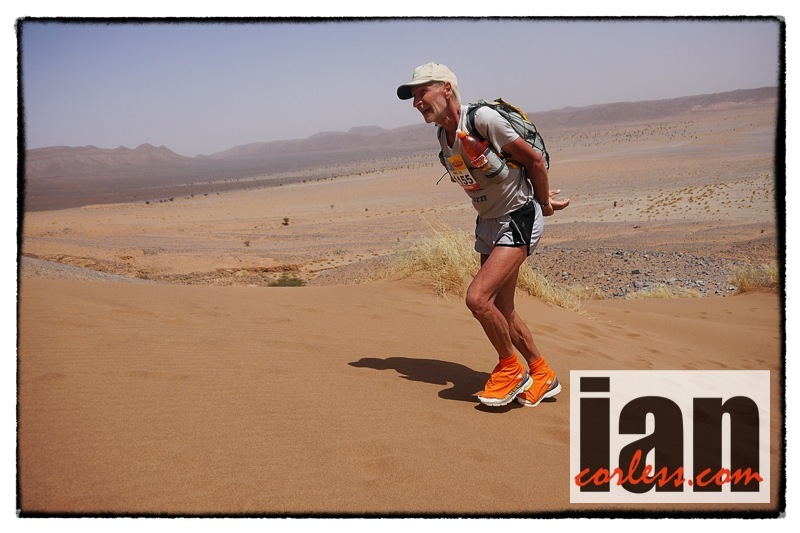 Certainly the race profile in the latter stages will suit him and his Diagonale des Fous experience will be invaluable. 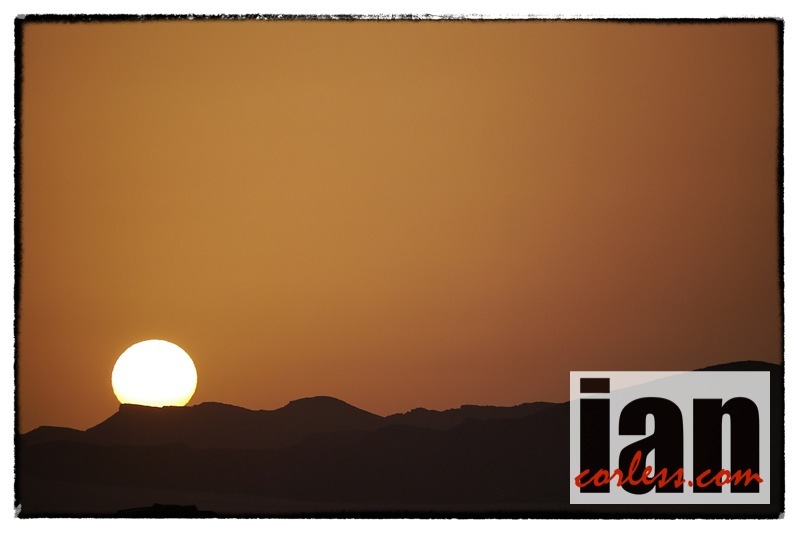 Jez Bragg (TNF) this time last year was running from the top-to-the-bottom of New Zealand on the Te Araroa Trail. His 2013 season was very much influenced by his ability to recover from such a supreme effort. 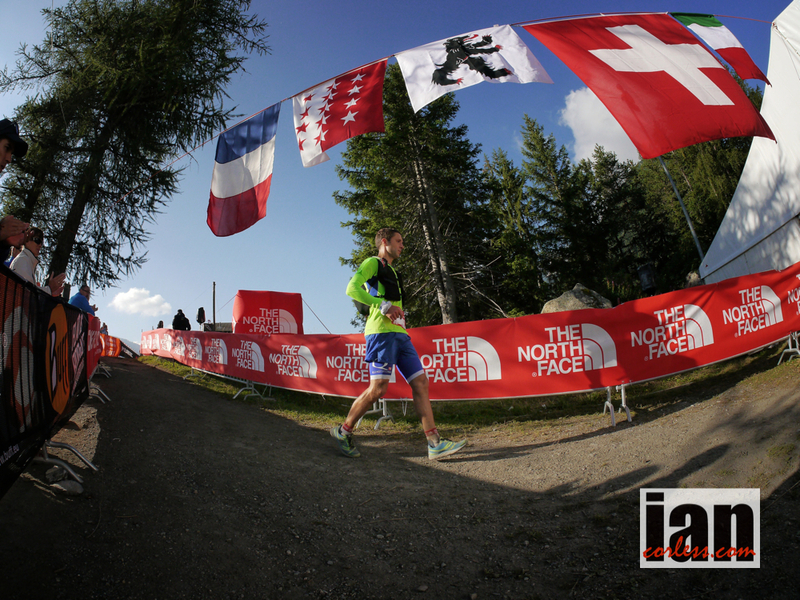 However, Jez did place 11th at UTMB and 17th Cortina Trail. 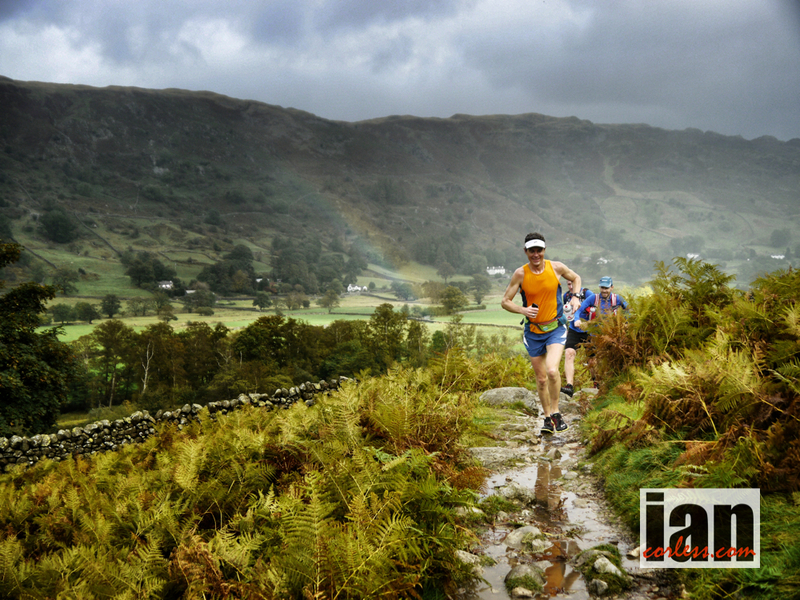 Jez decided to miss TNF50 in December which was probably a wise move. Pretty sure Jez will be focused on doing well here. Francesca Canepa (Montura-Vibram) One of my runners of 2013. Francesca is just an animal and I mean that in the nicest way. Francesca not only races a lot (maybe too much?) but she also knows how to win. Without doubt she likes races that are tough, technical and involve lots of climbing. 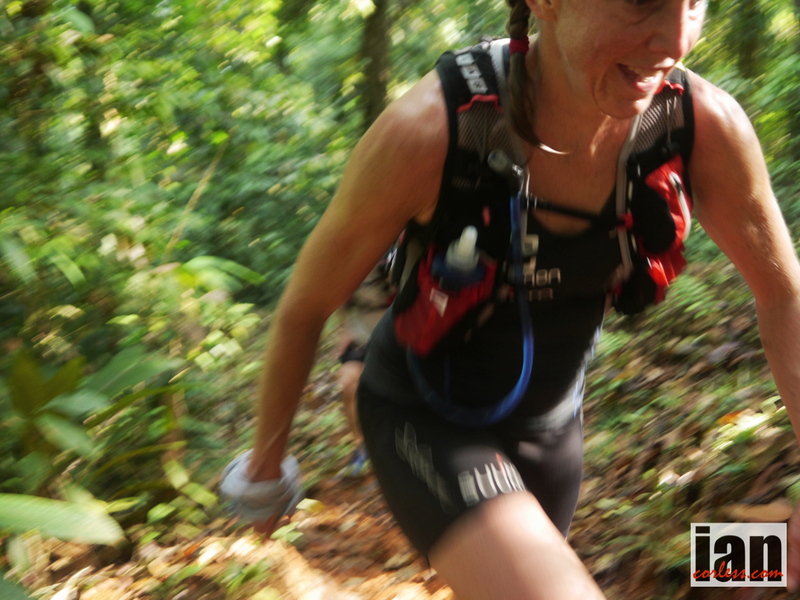 The latter half of HK100 will suit Francesca and most certainly, as other ladies fade with the effort, Francesca will just be getting warmed up! Expect her to release a supreme effort in the latter 30% of the race. 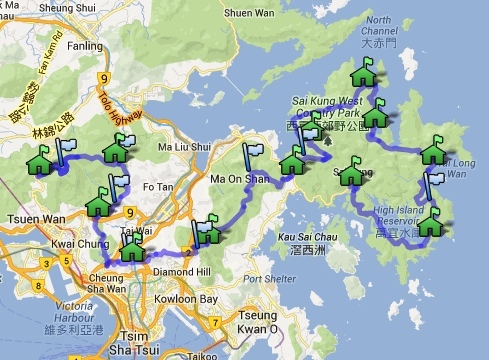 After checkpoint 8 she will move up embracing Needle Hill, Grassy Hill and the finish at Tai Mo Shan. 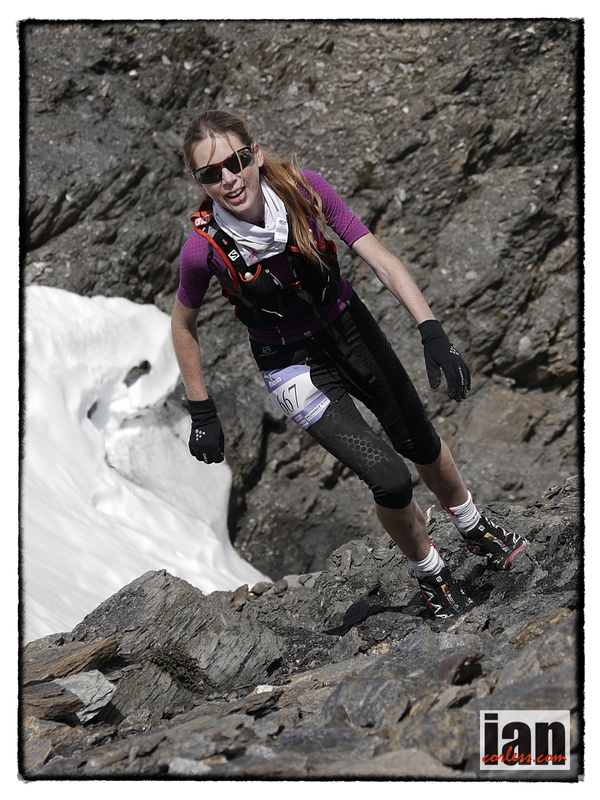 Her results from 2013 speak volumes: 1st Andorra Ultra Trail, 1st Tor des Geants, 1st Trail de Vulcain, 1st Eiger Trail, 3rd Ice Trail Tarentaise, 4th UROC. Hot favourite! Cyril Cointre (WAA) Cyril has some great results and he may very well show a presence in the top-10 if he has a good day? 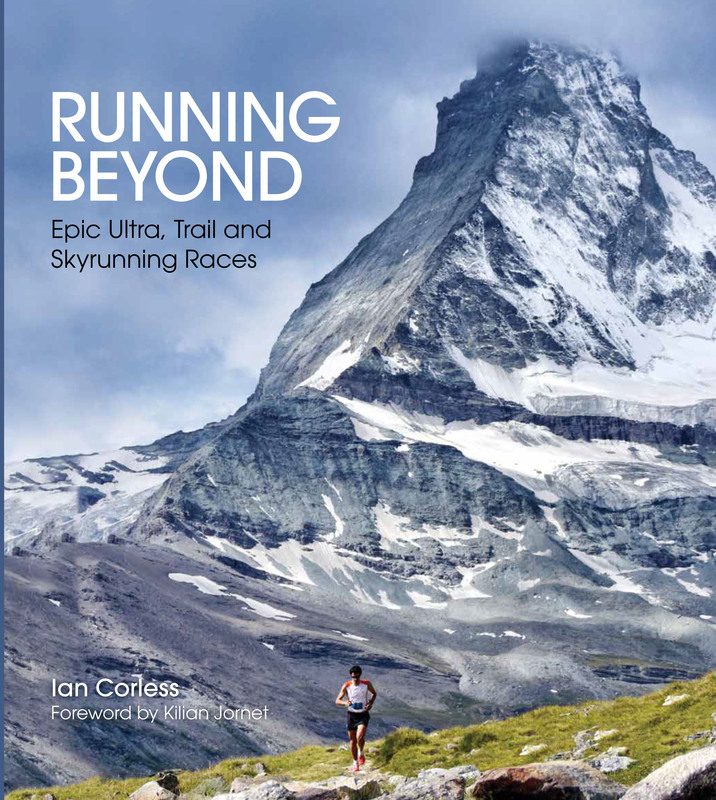 His 2013 results are significant: 1st Ultra Trail du Vercors, 1st Defi de L’Oisans, 3rd at Ultra-Trail du Pay Mary Aurillac, 9th at UTMF, 8th Transgrancanaria. 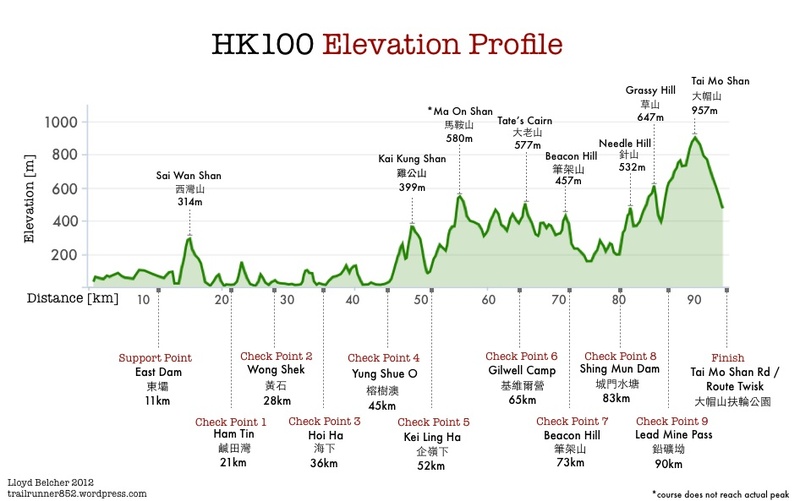 Antoine Guillon (WAA) Without doubt will like the HK100 course. 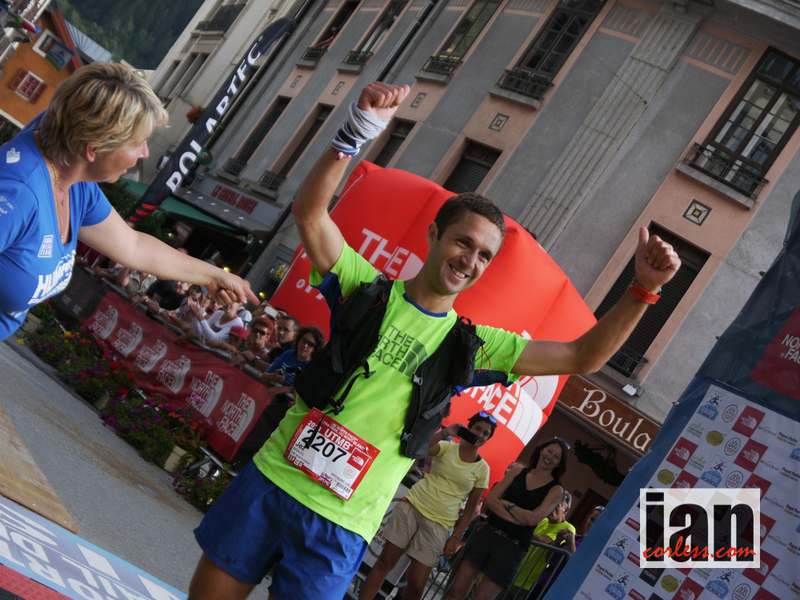 Another quality performance at Diagonale des Fous and his 2nd place at TDS set him up well for the HK100. Like Francesca Canepa, I expect to see Antoine remain strong in the latter stages of the race, so, expect to see hime work up through the field. 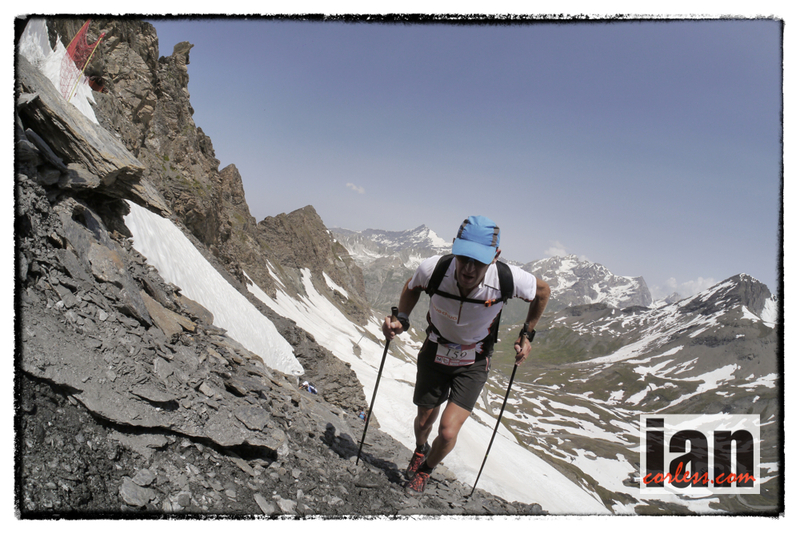 Results: 2nd behind Kilian Jornet at Diagonale des Fous 2012 and 4th in the 2013 edition behind Francois d’Haene, 7th at UTMF and 2nd at TDS. 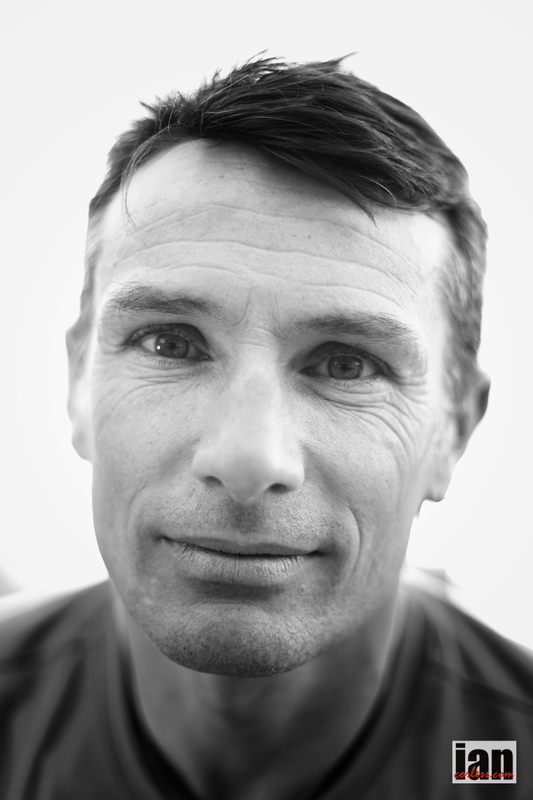 Scott Hawker (Hoka One One Australia) I don’t know much about Scott and his results are very much Southern Hemisphere based, so, it’s difficult for me to say how he will stack up against the competition. 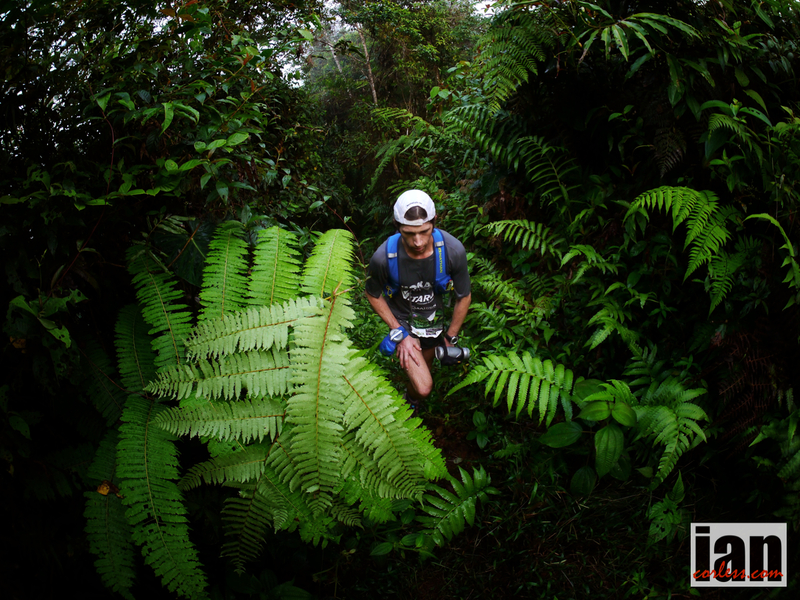 One to watch for sure… 2013 results: 1st at Six Inch Trail 46k, 5th at Great Ocean Walk 100km, 1st at Kep Track 100km, 1st at Truth of Consequences. 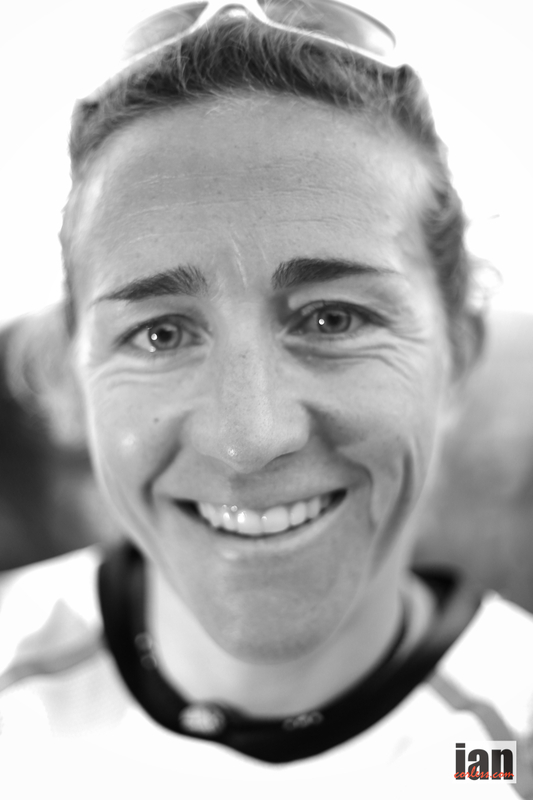 Lizzy Hawker (TNF) Needs no introduction, in 2013 Lizzy was 1st Annapurna 100km, 1st Mt Everest 60km and 5th at Swiss Alpine Marathon, however, she was plagued by injury early in 2013, tried to get ready for UTMB and then got injured again. So, post August Lizzy had to recover and get well. Spending time in Morocco with Frosty, Lizzy then moved over to Nepal and has spent months in the mountains, walking and hinking but recently she has been back out running. Her form for the HK100 is unknown? It may very well be a first race back and a test, however, should Lizzy be in form, expect a great battle with Francesca Canepa and last years winner; Claire Price. 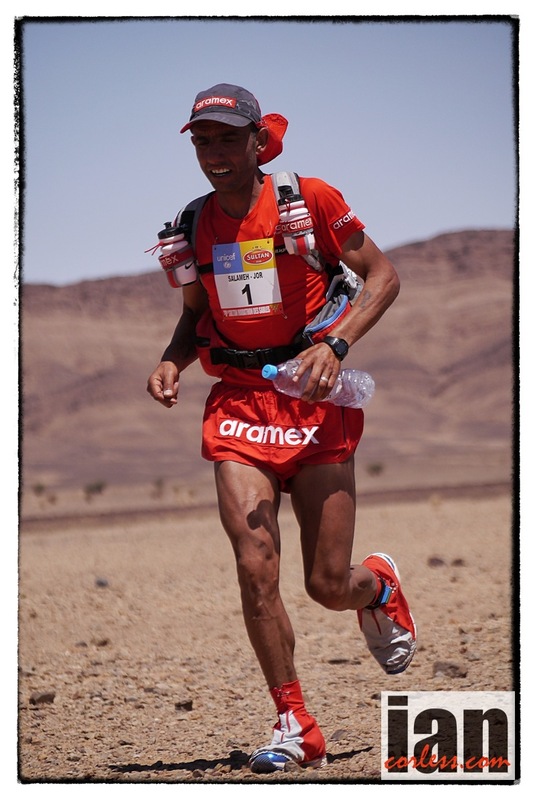 Ram Kumar Katri was 3rd at the 2013 HK100 and therefore must be a hot tip for this year’s race. Olya Korzh (Salomon) placed 3rd in the ladies race at HK100 last year and also had some great results with a win at TMBT and 2nd at MSIG Sai Kung 50. Local knowledge will be a big advantage and of course her previous podium will provide her with confidence to race hard. 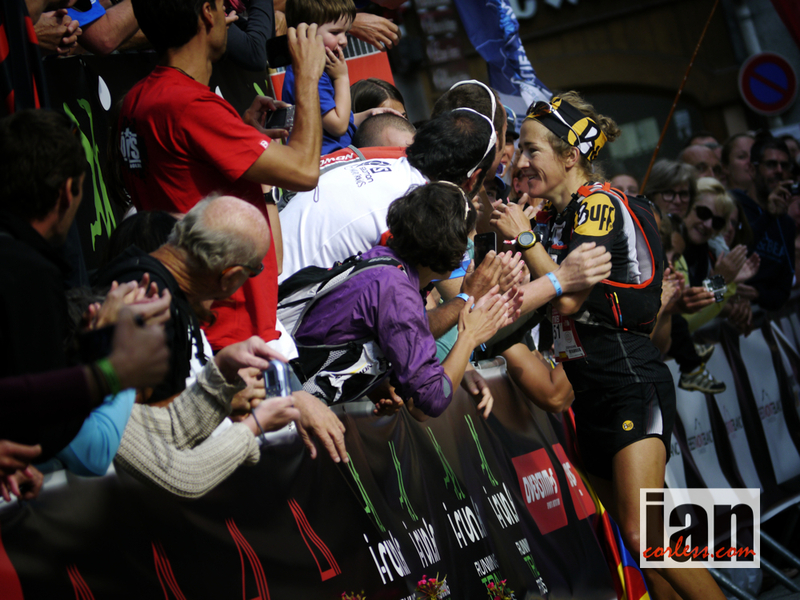 Nerea Martinez (Salomon) like Francesca Canepa loves hard races. A definite contender for overall victory and without doubt a top-10 finisher should all go well. Another lady who races a great deal and I can’t help but think some performances are affected by this? 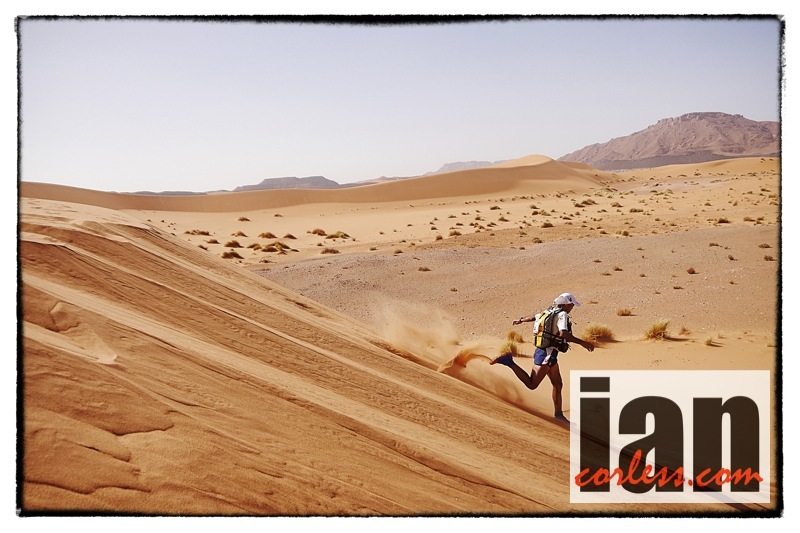 In 2013, racing regularly served Nerea well: 1st Transgrancanaria, 1st UTAX, 1st royal Raid Mauritius, 2nd Tor des Geants and 2nd at UTAT. Impressive! 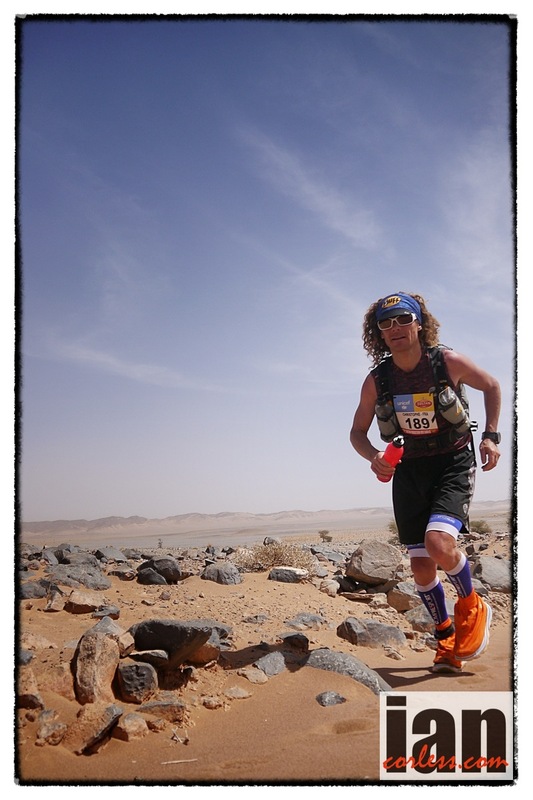 Jeremy Ritcey (Salomon) has the potential to do well at HK100. 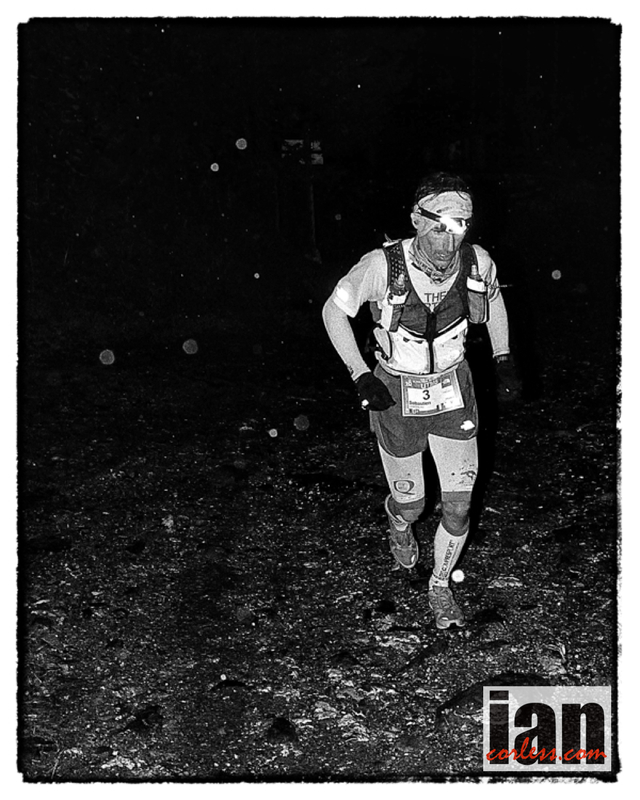 In 2013 he was 2nd at Lantau 100, 5th at HK100 and 16th at TNF100. Experience is always a big factor in any race… I wonder if he can improve on 5th? Cassie Scallon (Salomon) another USA entrant who had some excellent results in 2013. 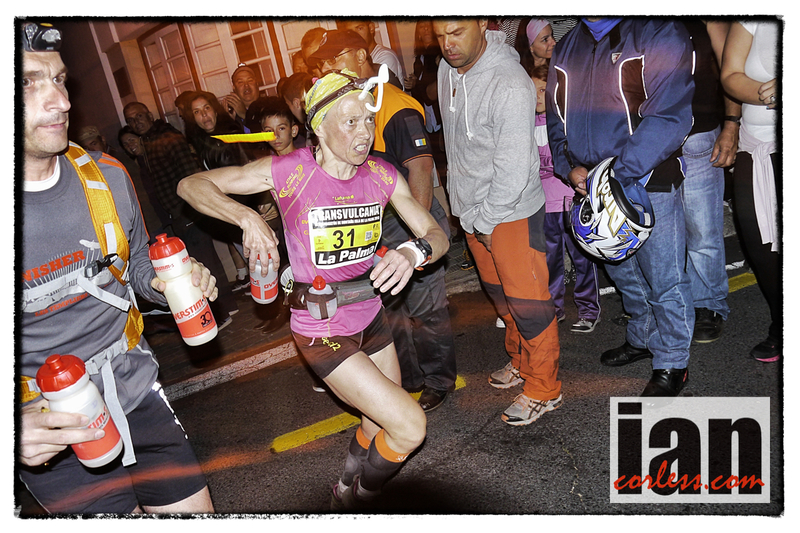 Her recent 5th place at TNF50 in December obviously means that she is in good shape. However, Cassie’s wins at Tussey Mountainback 50, Ice Trail 50 and in particular, Lake Sanoma 50 mean that she has great potential (and speed) to push all the other ladies. Another great sign is Cassie’s 8th place at Run Rabbit Run 100-miler proving she has endurance too. Siu Keung Tsang (champion Sysyem Adventure Team) 2nd HK100 in2013 and1st Lantau 50 must be a hot tip for this years race. However, I was told by a friend that he may well be not 100% at the moment, so, we will have to see. 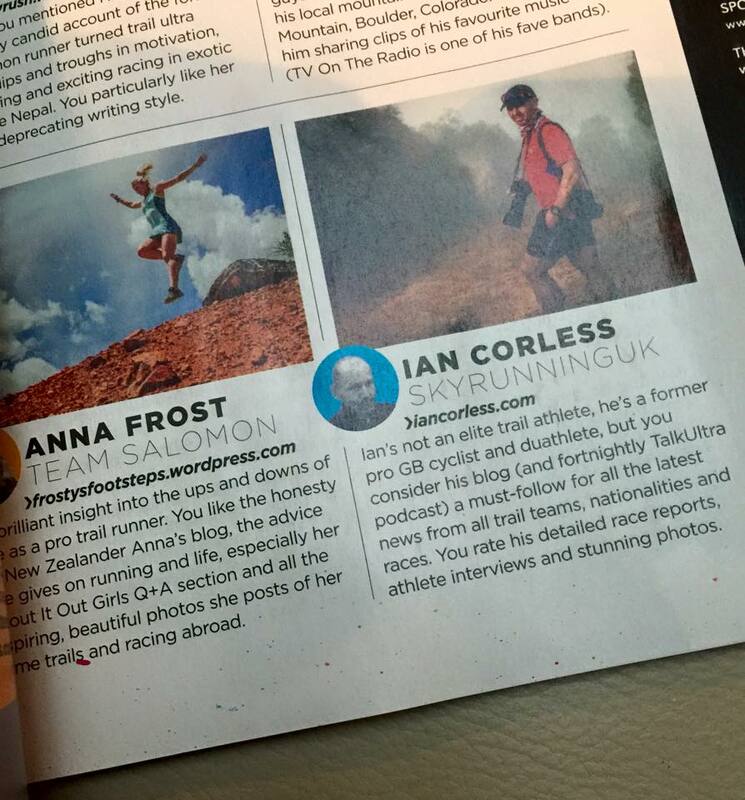 In 2013 we expected ‘Stone’ to do well at UTMB, he placed 18th, so, the jury is out on how his 2014 HK100 will go. Live tracking will be available during the event. To track any participant’s progress on PCs, iPads and large tablet, use this link. For smartphones, use this link. For live tracking on google map, use this link. For participants who would like Facebook updates of your arrival at each CP (except CP1) posted on your wall, please register by using this link.